How To Choose, Use And Care For Remy Hair Extensions? With the increasing quality of people’s life, more and more people have abandoned the idea of being frugal in dressing. More and more people would like to spend on hair extensions to change their looks, and at the same time, they care more about the quality of the hair extensions instead of the price. The hair extensions made of Indian remy hair have attracted people’s attention because of their advantages in both look and quality. 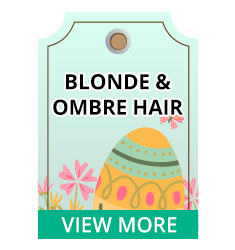 The Indian remy hair extensions have the characteristic that all the cuticles on the hair are aligned in the same direction, and the characteristic makes the remy hair extensions as smooth and silky as the user’s own hair. When you choose the remy hair extensions, you should know some tips so that you can get the best effect. At first, you should know what type of hair extensions is right for you. If you only wear them for some time, you can choose the clip-in human extensions which allow you to manage them easily. Secondly, you need to know the right color, style and length of the Indian remy hair extensions for you so that you can look more natural and beautiful.The hair extensions will not last forever, but you can extend their use life with proper use tips. Although the Indian remy hair extensions are made from real human hair, they can not grow or become better like the user’s hair. Therefore, the user should chemically alter them as less as possible. Coloring can damage the hair extensions gradually. When you comb your hair extensions, you should do it gently so that you will not pull off the hair from the clip. Moreover, if you wash the hair extensions, you should make sure they are dry enough before you go to sleep. If they are wet when you are sleeping, the style of the hair extensions can change.Proper use of Indian remy hair care will help you use the hair extensions longer. At first, you should choose specialized shampoo and conditioner which are rather gentle. These hair products will make the hair extensions made of Brazilian Virgin Hair less fragile. When you go swimming, wearing a swim cap will be a good idea to protect your hair extensions from chemicals in the swimming pool. With these tips, you will know how to take care of your hair extensions. Proper choosing, use and case for your remy hair extensions can make you look excellent for months.